Francesca will go through your closet and determine what stays, what goes, and what will work with a little tailoring. She will explain how to wear those items that stay and how to coordinate them with the right pieces, while identifying key, must-have items that are missing from your closet. Francesca will then organize your closet in a way that makes daily dressing effortless, fun and stress-free. Refresh Your Wardrobe – Let’s Go Shopping! Enjoy a shopping excursion to your favorite stores, or those recommended by Daily Dress, all within your budget. Francesca will complete your existing wardrobe, or help you shop for the upcoming season. 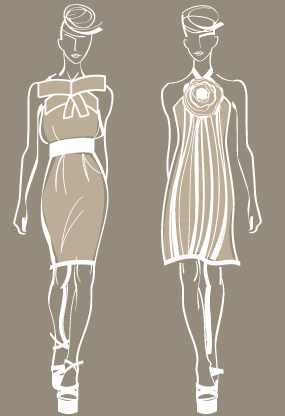 She will outfit you for a special trip, or find you the perfect look for a wedding or reunion. Whatever the need, Francesca will help style you with looks that reflect your personality and convey your confidence. $375: up to three hours (a 4th hour for $75). First, have your wardrobe organized. Then complete your style with a three-hour shopping excursion. Schedule both services within a 30-day time frame for $625. $625: a three-hour closet session, plus a three-hour shopping trip. If you prefer to stay out of the stores, Daily Dress will bring a selection of items to your house. As you try them on from the comfort of your home, Francesca will consult on each piece, and then return those that were unsatisfactory. Available upon request for any Daily Dress services.